The Scottish Labour Leader sets out his vision for tackling inequality ahead of the 2015 General Election. Unequal life chances are not just morally wrong, but are holding back economic prosperity for Scotland. That was the message from Jim Murphy MP, Leader of Scottish Labour, as he outlined policy initiatives that he said would help to tackle inequality. 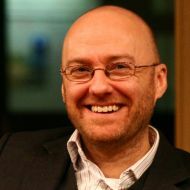 Mr Murphy was speaking at the fourth of a series of seminars in Edinburgh, hosted by the David Hume Institute and supported by ICAS, featuring the leaders of the main Scottish parties. He said that an unfair distribution of wealth and opportunity was morally wrong, and corrosive to the values of society. It is also holding back economic growth, he argued, representing a waste of human potential. Mr Murphy said: "Scotland flourishes only when the people and the families of Scotland flourish. Too many businesses and too many workers are stuck in the same low-skill, low-wage trap." He highlighted three areas in which Labour's policy initiatives aimed to tackle inequality. First, "before-tax" measures to improve pay and conditions for the low-paid would include raising the minimum wage, promote the Living Wage and tackle recruitment agencies that employed only overseas workers. Secondly, "after-tax" measures would include spending increased revenue from specific taxes on education, health and job opportunities. The proceeds of an increased top rate of tax would be spent on extra resources for the most disadvantaged schools and other educational initiatives, Mr Murphy said, while revenue from the so-called "mansion tax" on properties valued at over £2m would be used to boost health spending and improve life expectancy. Finally, a tax on bonuses in the financial sector would fund training and jobs for young people, Mr Murphy said. He also advocated devolving control over the Work Programme to local areas. He also stressed that economic growth and improved productivity would be important targets for a Labour government, adding: "The most successful anti-poverty strategy isn't good intentions, or a sense of outrage, but a successful and growing economy." He also said that, despite Labour's plans for specific, targeted taxes: "Instinctively, I'm not willing to raise taxes on the mainstream middle class." "I am optimistic," he concluded. "We face enormous challenges but the opportunities open to us are at least equal to those challenges." In a Q&A session chaired by Alistair Morris, President of the Law Society of Scotland, Mr Murphy addressed questions about Labour's tax policy, education, the tension between "equality" and "aspiration" and Labour's chances in the General Election in May, for which the polls anticipate a bruising set of results for Mr Murphy's party. He reiterated his aim of holding on to all of Labour's sets in Scotland. 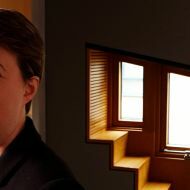 The David Hume Institute Winter Seminar Series will conclude with a contribution from First Minister and Scottish National Party Leader Nicola Sturgeon MSP, ahead of the UK General Election on 7 May. The series is supported by ICAS, the Law Society of Scotland, the Royal Society of Scotland and the Institute and Faculty of Actuaries.